Presents a play that is part of the "Oxford School Shakespeare". This text includes photographs of stage productions and students' notes. These include explanations of difficult words and passages, a synopsis of the plot, summaries of individual scenes, and notes on the main characters. Also included are questions and activities for work in class. The "Oxford School Shakespeare" is a well-established series which helps students understand and enjoy Shakespeare's plays. 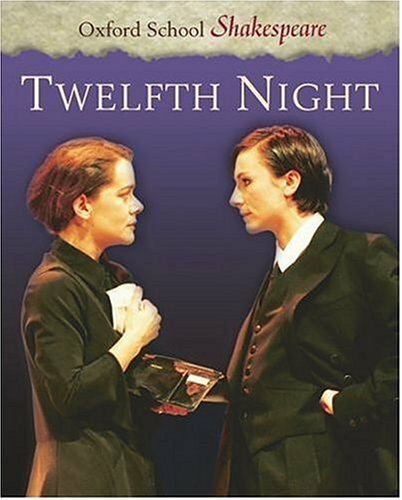 As well as the complete and unabridged text, each play in this series has an extensive range of students' notes. These include detailed and clear explanations of difficult words and passages, a synopsis of the plot, summaries of individual scenes, and notes on the main characters. Also included is a wide range of questions and activities for work in class, together with the historical background to Shakespeare's England, a brief biography of Shakespeare, and a complete list of his plays. This topical and relevant play is a new addition to the "Oxford School Shakespeare". The text follows the redesign of the series, photographs of recent stage productions have been included, and the attractive cover design follows the revised series style. Roma Gill, the series editor, has taught Shakespeare at all levels. She has acted in and directed Shakespeare's plays, and has lectured on Shakespeare all over the world.